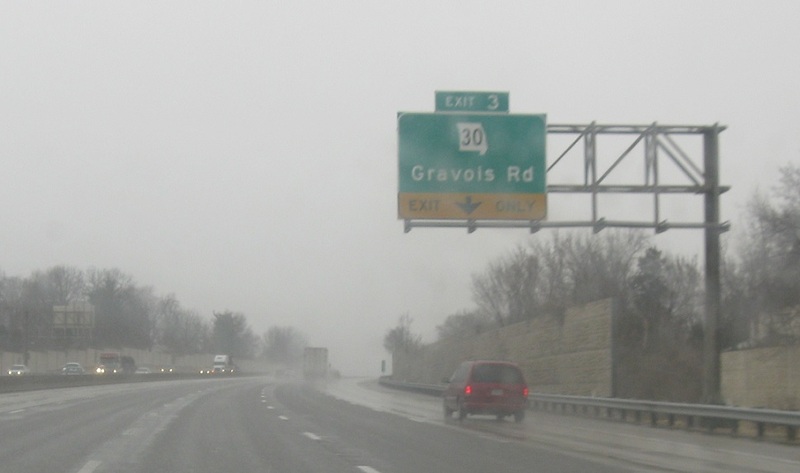 Reassurance shield after the MO 21 junction as we approach Route 30. 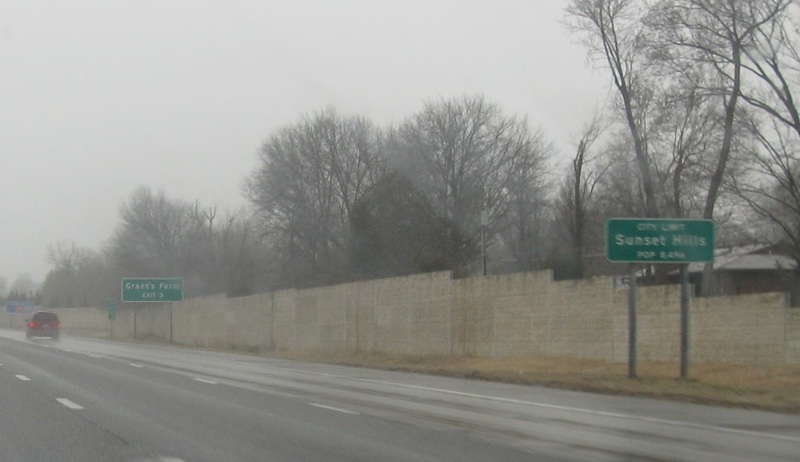 A few hundred feet later, we’ll enter Sunset Hills. 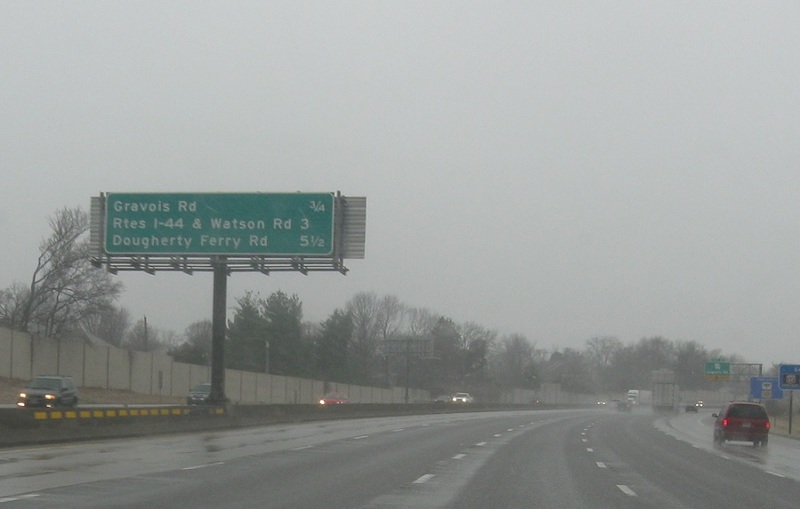 3/4 mile to MO-30, 3 miles to Interstate 44, 5.5 miles to Dougherty Ferry Rd. 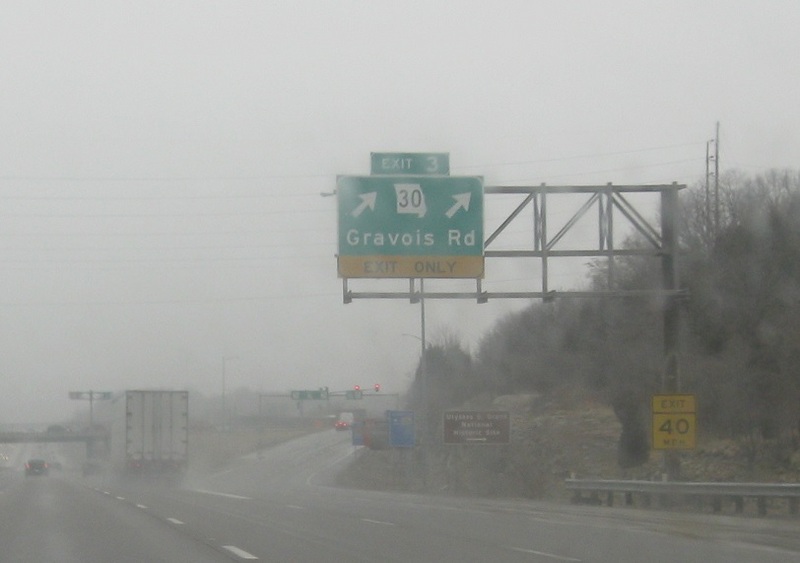 Keep right for Missouri Route 30. 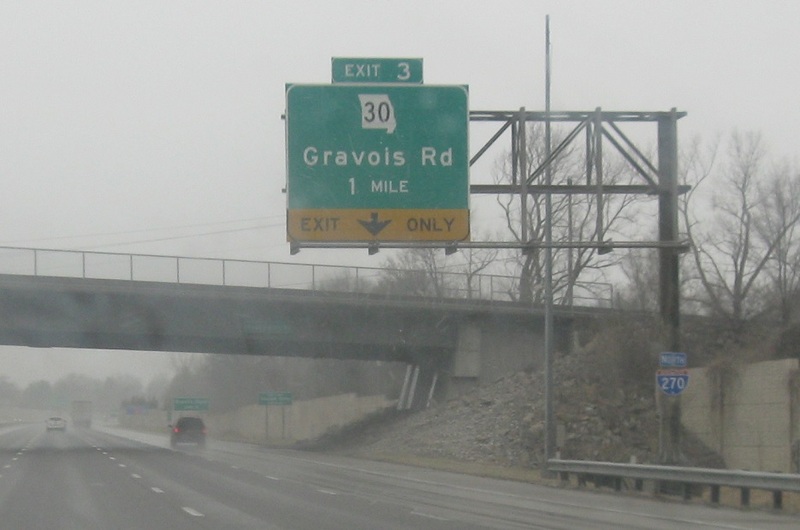 Exit for Missouri Route 30.